I live in Las Vegas, so this is kinda funny, but I suppose it works everywhere. It seems every election time, news reports of poll tampering, poll machine foul-ups, and cheating run rampant. It’s like playing a slot machine…good luck trying to make a difference. 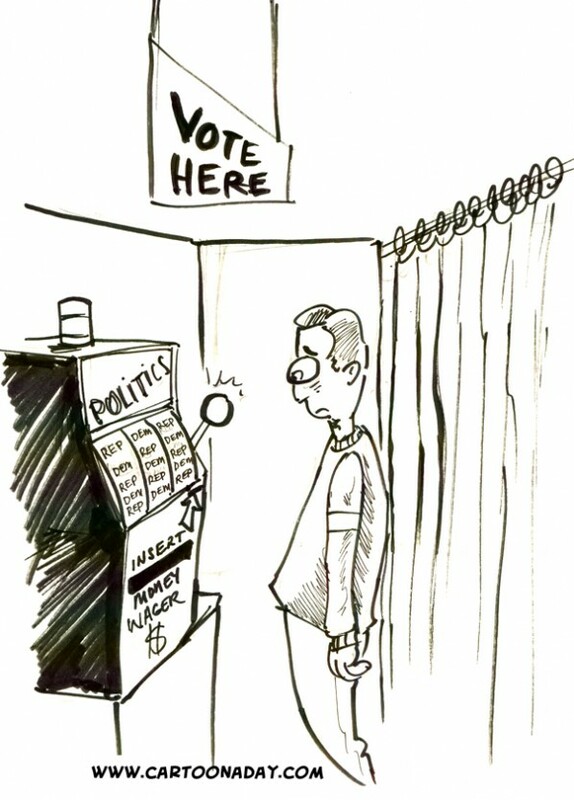 A civilian voter, in a voting booth, stares befuddled at a slot machine. The slot machine represents his chances of making a difference.